After my first bleeding incident and the trip to the ER, I had a second one on Thursday with more blood and some very large clots and a smaller one on Friday. I had an ultrasound on Wed and Thur and both showed healthy growing babies and strong heartbeats. This has been very terrifying. I stayed in bed most of the weekend and had my husband and a friend taking care of our twin girls. I had one bleeding episode like this with my last pregnancy at about 6 weeks. After learning that I once again have a SCH I decided to do some research on it. The rest of my research is from many different web and blog sites. The general belief is that if your SCH happens in the first trimester and you make it to the 20th week you are usually ok. Some woman never actually bleed, it is only found out during an ultrasound exam and some woman have huge gushes and clots multiple times. 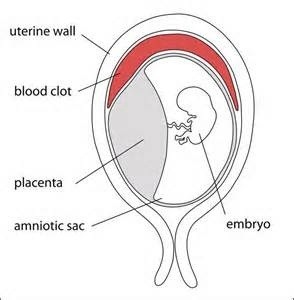 The biggest concern is when the clot is large, that is the most dangerous to the fetus. The comment about it only being 1% of pregnancies I believe to be very off. Every doctor and ultrasound tech I have met seemed very familiar with this condition and I also found tons of woman online going through it and some have had it with more than one of their pregnancies. 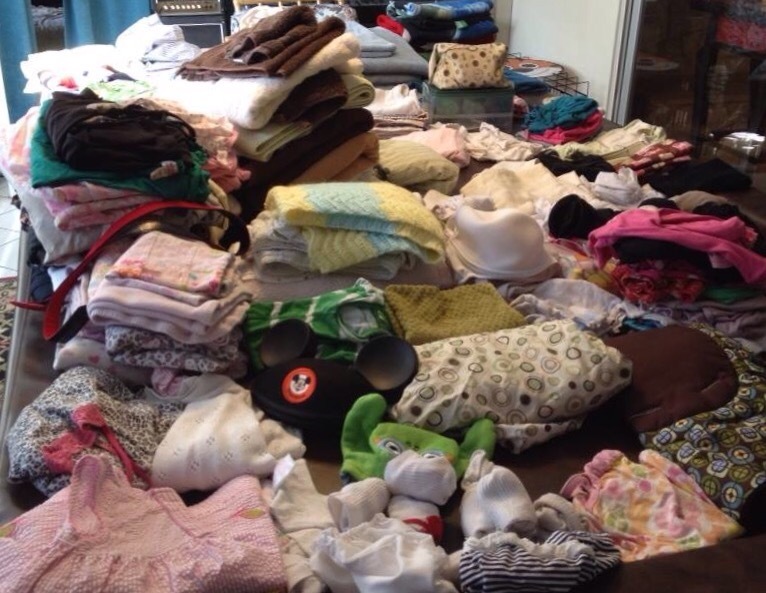 It also seems to be more common in twin pregnancies. The most frustrating thing about it is the different doctors approaches. There are doctors that tell their patients everything from change nothing in your daily life to ones that suggest full bedrest. How could there be such a huge mix of opinions on a matter that could mean life or death for your unborn child??? Doctors state that there is currently no proof yet that bedrest will help (no one has bothered to research and do studies on the condition), so they are hesitant to suggest it. Although I found that most woman said that shortly after bedrest the bleeding would stop. It is an internal wound, why would you not give it a chance to heal? That’s like running a marathon with an open cut on your leg…it’s not going to heal and will probably get worse. It really upset me to come across some of this misguided information. One woman was even told that she would definitely miscarry and should just get a D&C right away, even though her baby was still alive. She changed doctors and went on to have a healthy full-term baby!!!! 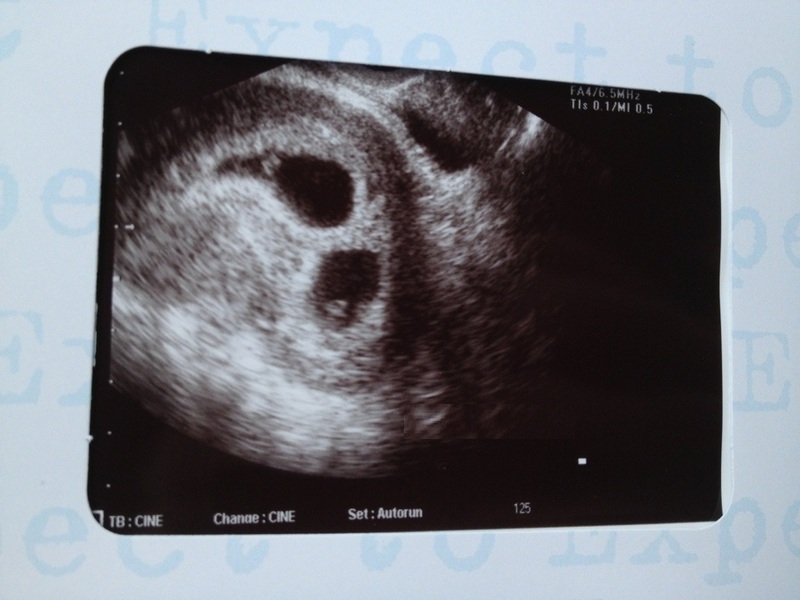 On April 16 it was confirmed…Twins again! I think I was in a state of shock when I left the office. I should have been happy but I started to panic. 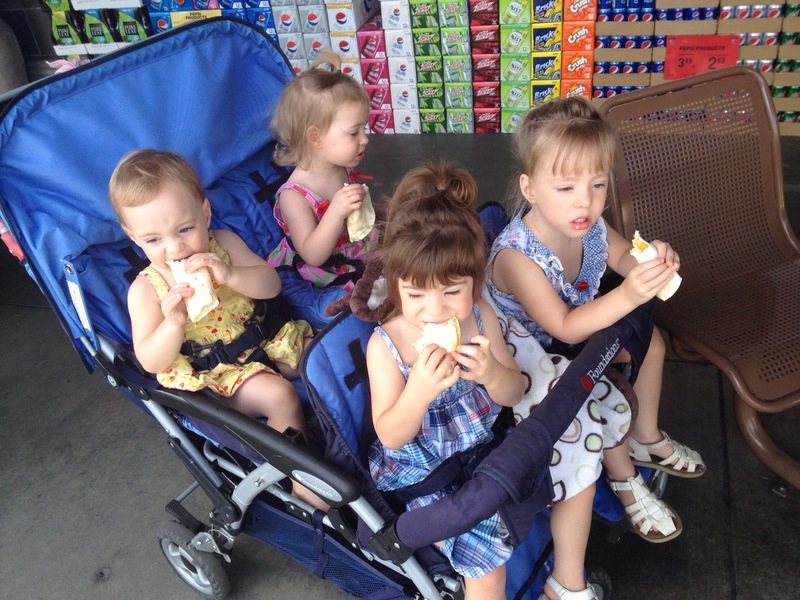 How am I going to take care of 4 babies under the age of 2 with no family living close by? Were we insane? I texted my husband the ultrasound picture, he was very happy. He had been hoping for this news. I felt guilty for not being more excited. I was definitely relieved that it had worked and that it will hopefully be the last IVF cycle I will have to do. No more shots!!!! But reality was setting in. I had convinced myself that this cycle didn’t work, and now not only did it work, it worked X’s 2! On April 23 I was considered 6w 1d, time for the heartbeat ultrasound. This is the next big step in the pregnancy and I know there are many more from my rocky first experience. The doctor was able to see 2 heartbeats, but paused to tell me one looked slow. This could mean one of two things, it’s either a day behind the other developmentally or that it would not survive. Not the best of news…all we can do is wait and see now. Since around the 4w mark I have had pink spotting and brown discharge (sorry if that is tmi) which has concerned me, but the doctor said it could be caused by the progesterone suppositories and not to worry. Then on April 25 I saw red, which now full on scared me. I was afraid I might be losing the slower baby, red is never a good sign. I called my doctor panicked and he said to come in for an ultrasound the next day since it was not heavy bleeding. I went back on full bed-rest that night to be safe. The doctor also asked how many we were planning on putting in this time. They really push for 1 embryo per cycle, I think it looks better for their records. 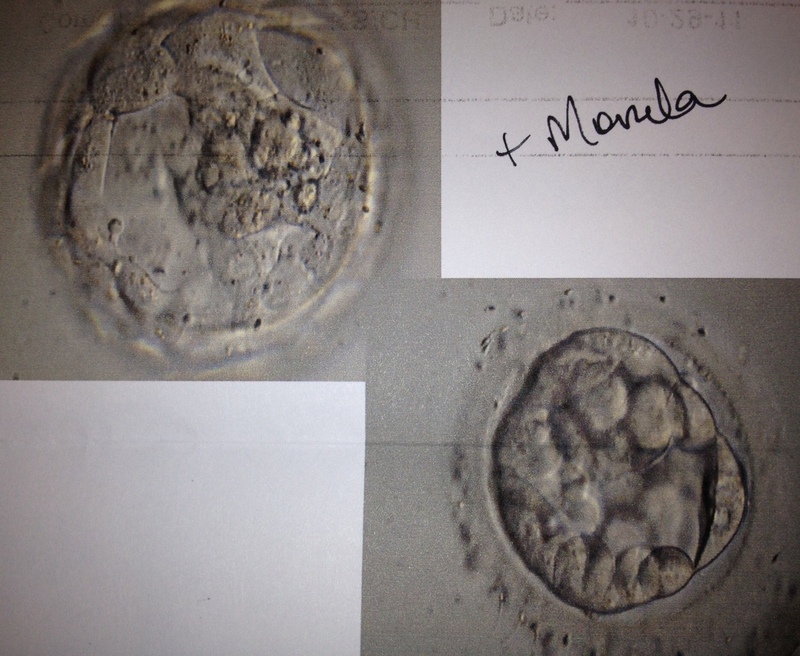 Last time I had a decent grade blastocyst (it was a BB), an early blastocyst which they did not grade and a morula. The doctor believes the two blasts were what became our daughters. He said that if I have a similar outcome this time, l will have about a 40-50% chance of success with 1 embryo, and a 50-55% chance with 2, but the risk of twins goes up to 40%. I really just want one healthy full-term boy, but there are no guarantees in this financially risky business. It’s really tough to decide how many…Last time we were going for broke and doubted we would even have one. Now even though we know it worked, I’m older….almost 39, which means it could be more challenging this time around. The risk of twins again is scary but we also want to be successful. I’m really hoping this is the last time I have to put my body through all of this again. We still have about 10 days to decide and a lot will depend on what actually fertilizes and grows. I’m praying for good results and good decisions!